Hair Frizz can be quite a nuisance for the women out there. Those who face hair frizz issues, spend thousands of dollars in an effort to get their hair looking smooth, shining and silky. Luckily enough, there are many types of treatments they can get. These can range from using leave-in hair creams to moisturizers to hairbrushes to hair dryers. You can select the best one according to your own requirements and hair type. In this article, we will now discuss some of the best products available out there if you are looking to get rid of all the frizz and get your smooth and silky locks back. This anti frizz product from Sedu is a great one if you are looking to have your hair smooth and shining. It provides heat protection and control frizz quite easily. It does not give a greasy feeling and gets absorbed easily. If you do not want to spend a lot of money, then this is the best product to have anti frizz hair. Its formula contains Acai Extract and Silk Protein. It also has the added benefit of being a thermal and UV protection cream. And that’s not all. It also gives your hair a nice moisturized feeling and does not leave your hair dry. This product is laced with natural Keratin serum which helps your hair get all smooth and silky. This is ideal for women who live in a humid environment. It also reduces breakage and restores elasticity in the hair as well. However, it is priced at an expensive $100 per bottle. This product is another cost-effective solution to have frizz free hair. It is free of hair damaging ingredients such as Sulphate, Sodium Chloride and Paraben. Unlike most other products, this also gives a nice fragrance to your hair. This is another product for women who are living in a humid environment. This anti frizz oil leaves your hair smooth and shining without any greasy effects. It also protects the natural colour of your hair and gives a lot of nutrients and anti-oxidants to your locks. In order to have anti-frizz hair, you can also pick up one of these hair dryers. The great thing about this product is that is has an AC motor which ensures you can dry your hair in no time. It uses ionic technology which not only reduces frizz, but also adds shine to your locks. You can get your hands on one of these for a $40 bill. The best thing about this product is right in the name. 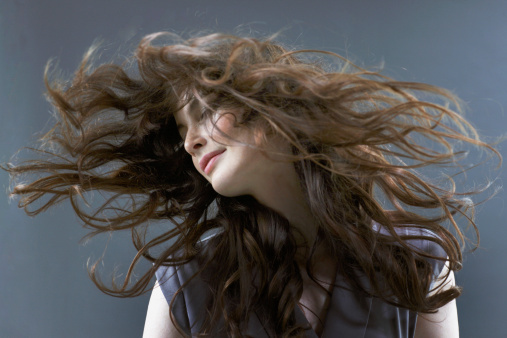 It can give you an anti-frizz hair for up to 3 days straight. Just spray some of this spray on your hair and it will hold your hairstyle for many hours to come. Even if you get some kinks while sleeping, all you need to do is to iron your hair the next day and the effect of this product will come back. At just $9.99, you can get one of these for a cost-effective solution to anti frizz hair. Top Skin Care Products Over $10: Acne Solutions that Work!